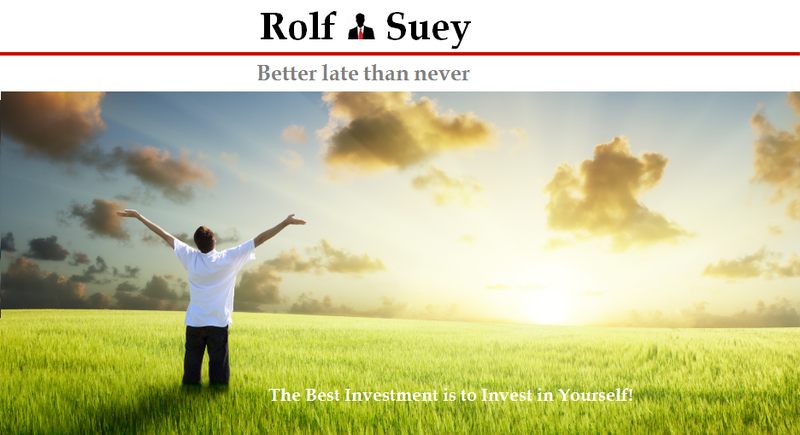 Rolf Suey - Better Late Than Never: What Is The Fuss Over Fed Rate Hike And Its Impact On Us? Just what is the impact of Fed rate hike? Why the hoohaa over it? Job is still intact, life is still as per normal, nothing really change? True? 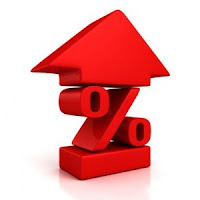 Interest rates changes do affect people/businesses. For instance, household who has higher loan with variable interest who has been enjoying zero interest rate for the past years, will see higher installment payments every month if rate hike. Interest rate simply refers to cost of borrowings. If the interest rate is high, home, car and business loans etc with variable interest increase. In general it means debt repayment burden rises? Refer to my previous article on interest rate here. Interest rates at zero percent. Isn’t it good? So Fed keeps interest rates at zero percent, isn’t it a fantastic thing. I can continue to enjoy low debt repayment, so that I can spend more! But how come people are worry and stocks did not rally after the announcement of no hike? One reason is because Interest rate has floored for seven years. The low interest rate is viewed as a lifeline support to keep the economy healthy since the deadly GFC. Now that the economy has recovered, shouldn’t your lifeline support be removed? If it is still at zero, does that means that the economic health is still as bad as seven years ago? To understand why low interest rate environment is not sustainable forever, we also need to understand how the economy works. Lately, I researched a lot about Ray Dalio, the head of the largest hedge fund in the world. I listens to him explain about how his economic model works. Each day, I spent hours on his articles/videos. I must confess, I kind of idolize this guy! His views resonate within me. I also like his transparency and sincerity during interview. Eventually it’s all about my gut feel and intuition that tells me that he is a great guy. Never mind if I am wrong. Refer to my earlier article on Ray Dalio video of Economic Machine here. For now, I will try my best to use Dalio's model to convey why Fed’s rate hike has an important impact to the economy and hence our lives. If anything incorrectly explains, do correct and pardon me. To understand Dalio’s economic machine, it is paramount to first understand the three main forces of the economy. The economic machine model explains that many transactions make up a market, and multiple markets form an economy. In a transaction, one person’s spending is another person’s income. You can spend either by cash or credit. If you spend by credit, then the lender has an asset and the borrower has a liability. If the credit is repaid, the transaction is settled. Without credit, an economy can only improve when productivity grows i.e. GDP growth over time is almost linear as shown in the chart above. Productivity growth means, we can produce more output (goods and services) in an economy for the same input. For e.g. it can be due to technology, more efficient systems, or people becoming more savvy or hardworking etc to raise productivity. Now you know why Singapore government advocates Singaporeans to raise their productivity. 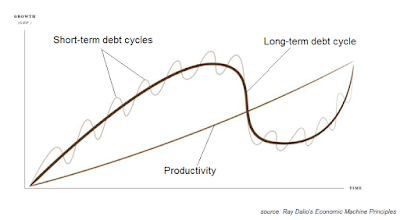 When there is credit, the economy creates what we Dalio described as the short-term and long-term debt cycles. The short-term debt cycles normally happens once in every 5-8 years. It is also known as business cycles. During the short-term debt cycles, government can use monetary policy such as interest rates, money supply (or printing money a.k.a Quantitative easing) to inject the economy. During the GFC, Fed lowers interest rate to zero percent to stimulate the economy. People and businesses can borrow more, so spending increase. And because one’s spending is another person income, income also increased. Imagine you are earning 100k and can borrow 10% of income i.e. 10k. Now you can spend 110k. It means another person who is earning 110k can borrow 11k. He can then spend 121k. This effect spirals up and spending grows, hence economy improves. On the contrary if the spending becomes higher than income growth, there will be inflation and central bank will increase interest rate to deter spending and the spiral goes in the opposite direction. This normally takes place once in every 50-75 years or more. The last one was seen in 1929-30 during the great depression that causes a “lost decade”, before WWII set in. In a zero rate environment like today, debts are mounting in many countries. Today there are a lot more debts than actual money in the US economy. US owed more than US$16 trillions and has a Debt to GDP ratio of 300% or more. So why bother about the increased debts? Just keep interest rate low and ignore the debts and we all will continue to enjoy the prosper of the economy. Is this true? Not quite! In a zero percent interest environment, there are no incentives to save or to repay your debt. You will spend on goods and services or financial assets. Asset price will rise. This is why stocks and property prices had rally since the GFC. Once asset price rises, yield will become lower for the same asset investment. Investors will then relocate resources to buy other assets with higher yield which is more risky. You may think that the economy is good. But the reason is due to cheap credit and may not exactly due to productivity growth. Consider also that most of the money in this world is concentrated in the hands of the few percent rich. There will come to a point when the rich only spend on more financial assets rather than on consumer goods and services. This means that the increase spending is misallocated. Despite debt continues growing in the economy, businesses demand are not keeping in pace. If debt grows at a rate faster than income, then the burden will become increasingly heavier. People will come to a point that they have difficulty servicing their debts. Spending will decrease. And since your spending is another person’s income, lesser spending means lesser income for another person, so on and so forth. Eventually the debt bubble burst and economy spiral down rapidly. And because the Fed can no longer lower interest rate since it is already zero percent, they cannot stimulate spending anymore. Everyone will just rush to sell their assets. Supply outstrips demand. Debts are written down, people and businesses declare bankrupt and jobs are cut. 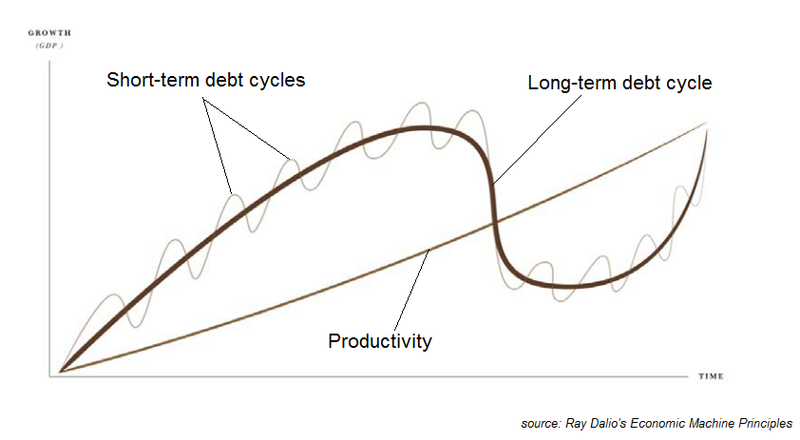 This is what Dalio classify as long term debt cycles. It last happened more than 80 years ago during the great depression. The world economy did not turn around until when WWII started in 1939. Maybe Fed can raise taxes on rich or print more money? There are two ways a government can have money. Raise Taxes or borrow from the Central Bank. The central bank will then prints money and buy government bonds. When economy is filled with debts and recession already takes place, the government can only tax on the rich to re-distribute wealth. Will the rich be happy? No! The poor will continue to leave on social benefits. This is not sustainable. 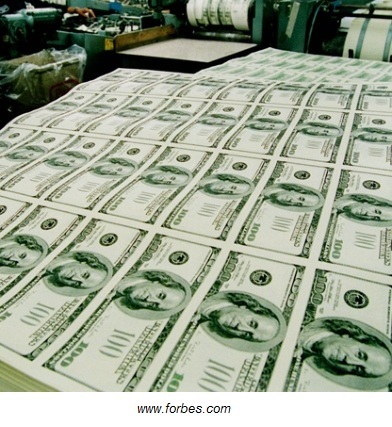 Printing more money, which is what Fed has been doing? With more money around, your existing money will worth less. This is the effect of inflation, which decrease your purchasing power. In extreme cases, money will become worthless just like during WWII when Japanese print so much of their “banana notes” that causes hyperinflation. Another example is in the late 1970s when the Fed kept interest rates too low for too long because it feared that higher interest rates would be economically harmful. That produced double-digit inflation that created chaos for many Americans. When cost of living increase, debts unable to be repaid and have to be written down, delayed or with lesser interest repayment, it is going to be painful for everyone. The poor will resent the rich and social unrest will take place. In extreme cases, just like in during the 1930s great depression, it can even lead to people like Hitler coming into power and lead to war. When debts are abundance, an economy needs to go through a process of deleveraging. Typically, an economy can deleverage in 4 ways. 1) Debt reduction which means write down debts! One’s man debts is another man assets, hence this may cause negative wealth effect which can painful also. 2) Austerity measures which means cut spending and pay down your debt. But it will mean lesser spending and lesser income for others, which is deflationary in nature. 3) Tax the rich and redistribute the wealth from the rich to the poor. Just like in Europe, wealth is currently redistributed from Germany to Greece, southern European countries. Ultimately, it will reach a point where the rich will not be happy anymore to redistribute their wealth. 4) Lastly, debt monetization or print money. But all things being equal, more money means inflationary and the cost of goods will increase and causes social unrest. Therefore “Printing of Money” if printed in the right amount and right rate, it will result in what Dalio described as “Beautiful Deleveraging!” This is what happened since GFC in the US economy. Beautiful deleveraging is when inflationary measures balance deflation. Basically interest rate cannot be higher than inflation. This is to ensure income grow faster than debt to pare down the debts in a deleveraging process. Can the Fed continue to deleverage beautifully? For now, it seems that they still cannot deleverage (i.e. no rate hike). Fed cited external environments effects from emerging markets and China slowing, but some suspect US economy is still fundamentally weak. So now we probably know why increasing of interest rates is actually a good sentiment. This is because it represents that the economy is improving and moving in the right track to deleverage. No rate hike for now can mean that the economy is still in bad shape and Fed is cautious. This is even in the face that the recent rate hike is only targeted at 0.25%, which is considered extremely low. For now, it seems certain that there are more uncertainties ahead. Prolonged periods of low interest rates encourage risky and unsustainable investments and in general are not healthy. Due to the historical high debts US is currently incurring, many reckon that they are near to their long-term debt cycles now. And if there is a downturn, they will have no more interest rate tools to rectify the situation, and it may lead to financial catastrophes! If depression really takes place, it can be even more disastrous than that in 1930s. This is because the world is more interconnected today than 80 over years ago. Singapore will not be spared due to our open economy! It is so scary and I sincerely do not want that to happen in my lifetime, and neither my children’s lifetime. That said, many unexpected events take place since my adulthood For instance, 911, SARs, GFC, the current oil crisis! Nonetheless, each time I learnt and become stronger. So what should I do now? Fret and prepare to meet doom? To me, it is all about “AWARENESS”, and nothing to do with pessimism, unnecessary worry and complaints. With awareness, comes preparation. With preparation, hopefully my family will be able to withstand the shock when unexpected crisis take place. Moreover I am more known to people around me to be positive and take charge in my own life with actions. For now, I will be prudent, but carry on my life as usual happily. I will approach everyday as it comes, with a healthy mind and body. More importantly I will cherish each moment being together with my loves. Thank you for readings n dropping by. This is just my understanding of interest rate and highly probably that I am missing lots of things. Congrats Rolf, to this great 'walkthrough' on interest and the economy. For me the key statement is: "This is not sustainable". No Ponzi-scheme - and I do count the current spiraling public debt as such - is sustainable forever. May I add one more option for reducing the heaps of debts? Don't count out a monetary reform such as "From Monday morning onwards we remove two zeros from your bank accounts and our debts. We are so sorry, but that is necessary". Happened so often before in history, just not in recent history so that we could easily remember. There are no easy exits from the policy mistakes that have been committed. All that remain are hard choices. Always to the disadvantage of us common people. I am with you on staying optimistic. Awareness is great as well, but useless if not followed by conclusive action. There are ways and means to prepare for the uncertain (but not improbable). Precious metals (not just any metals, steel is a metal too! ), Land, and for those nasty Black Swan Events some Put Options to safeguard our long-term investment portfolio. Haha.. removing two zeros! oh dear, painful really painful! Yes, agree on precious metal, land (if paid down or manageable debts).. put options I m not expert, so stupidly I keep certain percentage of cash in SGD with no returns! Awareness is for the public. Final thoughts which result in my own actions, I keep it to myself, in order not to mislead. Let the great lead and not the mediocre! Not because of selfishness but different people different, so maybe individual need to think and action for themselves in the circumstances they are in. Who knows, maybe they remove only one zero or even three. Seriously consider that scenario in your thinking too. Put Options are actually quite simple to get a grip on. No rocket science at all. Ok, all the omission of zeros, which were not suppose to be there even in the first place. Got it! Life as such when comes to money, is always "easy come easy go!" Even when money is "NOT easy come, it can be easy go, if not protected well!" Then it will be really painful. To be honest, I will not educate my children to be elite. They will lead a not so good life if they are. Leading is tough job. Nowadays I think it is probably easier to manage ur own fund than to manage a bunch of subordinates. People r just too complex. I prefer my kids to be mediocre as person strong in mind, happy at heart. With many other simple attributes like integrity, passion, positivity and hardwork, this is sometimes enough to outperform the elite frequently. I read again and there is no mention that economy is bad now or will be bad since nobody know the future. It's only uncertainty ahead at least for now. Things may turn out just well. All I m saying is if interest rate continue to be zero, then if there is a unexpected downturn, recovery will be even harder than 2008 crisis. Meanwhile, since GFC economy was tamed beautifully and life goes on as normal n in fact almost on par prior to the GFC. Who knows, maybe the economy will be normal for next few decades or forever if it is beautifully deleveraged acc to Ray Dalio. Eg some illness like Kidney problems, can be under control for years with right treatments carefully. Patient can still lead a reasonably normal life if there is no serious relapse to be deadly. Of course the best solution is to have kidney replaced for everyone, but it is not as simple as it seems, analogous to the economy we are experiencing now. The increase of every tax, fee or price always hurts me well as I'm having two nickles to rub together. Usually I refer to Installment Credits online to take pay day loan and get some cash for a simple living till the next salary. I know that many people do that as have money troubles just like me. So I'm always against pressing such online loan services that really provide the helping hand to people in need. Unlike our governments does with the tax holders.